Chart Organization, LLC. has built its first-class reputation on one basic principle- each tenant is viewed as an opportunity for service. What distinguishes Chart Organization from other investment and management companies is the unfailing attention it gives each tenant. Chart was founded by Glenn Edwards who has built value-added relationships that are mutually beneficial to the network of professionals involved in each transaction. Every part of the Chart Organization’s value chain is treated with honesty and integrity. All relationships are respected: tenants, brokers, property managers, lenders, and vendors are all integral to our company’s success. Chart Organization knows that all must work together for the common good. Our company demonstrates the value they place on each tenant by making regular capital investments and property upgrades to enable every tenant the best chance at success. Any issue undertaken can expect a quick turnaround time and satisfying solution. This corporate philosophy builds and encompasses goodwill for all concerned. 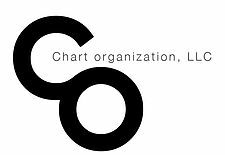 Chart Organization, LLC. is a holding company consisting of more than thirty assets in numerous industries. Glenn Edwards has grown Chart into a diverse investment company with holdings in commercial real estate, multifamily residential, retail clothing stores and recreation companies. Chart’s real estate portfolio is comprised of nearly one million square feet in ten states. Glenn has a conservative philosophy investing in start-up businesses and underdeveloped assets utilizing his thirty-five years of management experience. The primary focus has been to re-position assets and unlock hidden value. Glenn joined his parent’s small family business in 1980. Over his twenty-five-year career, Glenn developed his family business into five verticals, which he grew to more than six thousand workers, twenty thousand customers and twenty-five branches in seven states. Glenn led the company to acquire fourteen industry competitors and ultimately became one of the largest home health care companies on the East Coast. In 2005 Glenn sold his healthcare company to a management-led buyout. Glenn graduated from Stony Brook University and serves on the board of numerous charitable organizations. Jordan serves as Vice President at Chart Organization, LLC. and oversees day-to-day operations and acquisitions. Jordan has led the successful repossession of more than 300,000 square feet of commercial real estate, working with national retailers and local businesses around the country. He has also been responsible for leasing activity in excess of 500,000 square feet. Before joining Chart, Jordan was the project manager at Epic, LLC. leading the redevelopment of a 240-unit, multifamily building in the Turtle Bay neighborhood of New York City. Before Epic, he worked as a Junior Acquisitions Analyst at Chestnut Hill Realty, located outside of Boston, Massachusetts. Jordan graduated from Northeastern University, College of Business Administration in 2008. Ann Marie comes to the Chart Organization with twenty years experience in financial administration, including reporting, planning, treasury, real estate, commercial lending, and internal audit. She spent eight years at JP Morgan Chase as a as commercial lender and internal auditor. Ann Marie has her Bachelors Degree in Finance from St. Johns University and her Masters of Business Administration from Adelphi University.